Northwestern College; Bob Jones University, B.A., M.A., Ph.D.; University of Tennessee; University of Chattanooga; Hyles-Anderson College, D.D. ; Baptist College of America, L.H.D. ; Pastored in North Carolina; Member of the Conference on Faith and History; Member of the Southern Historical Association; Chairman, Department of Religious Education, Temple Baptist Theological Seminary, 1961-1972; Dean, Tennessee Temple College, 1967-1972; Bus captain for two years; Sunday school teacher for three years; Sunday school superintendent for six years; Author of two books. Dr. Wendell Evans, a native of Iowa, pastored for two years in North Carolina. While a student at Bob Jones University in Greenville, South Carolina, he traveled with an evangelistic team for four summers. This ministry took him into most of the states and throughout Central America. For eleven years, Dr. Evans was associated with Tennessee Temple University in Chattanooga, Tennessee. He served as chairman of the Department of Religious Education of Temple Baptist Theological Seminary during these years. From 1967 to 1972, he was academic dean of Tennessee Temple. While at Tennessee Temple, he was assistant training union director of the Highland Park Baptist Church for ten years. He was a bus captain for two years. Dr. Wendell Evans leads in singing the alma mater at the 2018 Commencement Exercises. Dr. Evans gives a final challenge to the graduates of 2018. 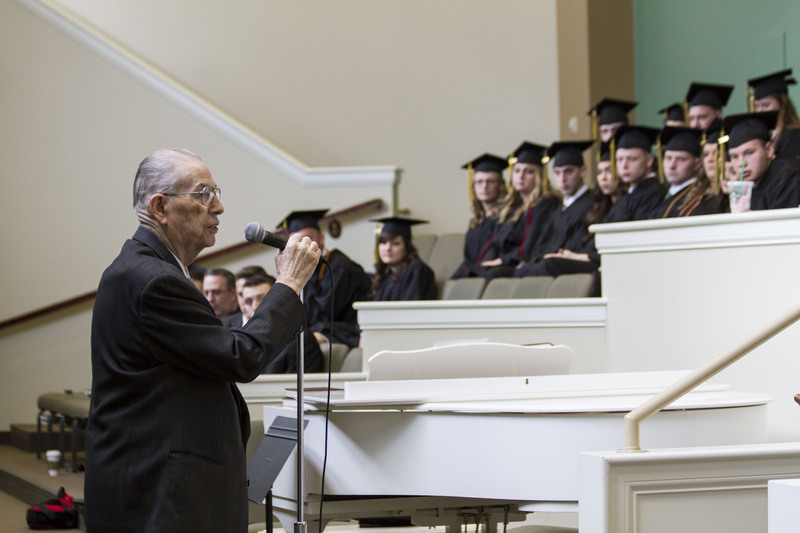 Dr. Wendell Evans has been an administrator of Hyles-Anderson College since its founding in 1972 and was the president of the college for most of its history. 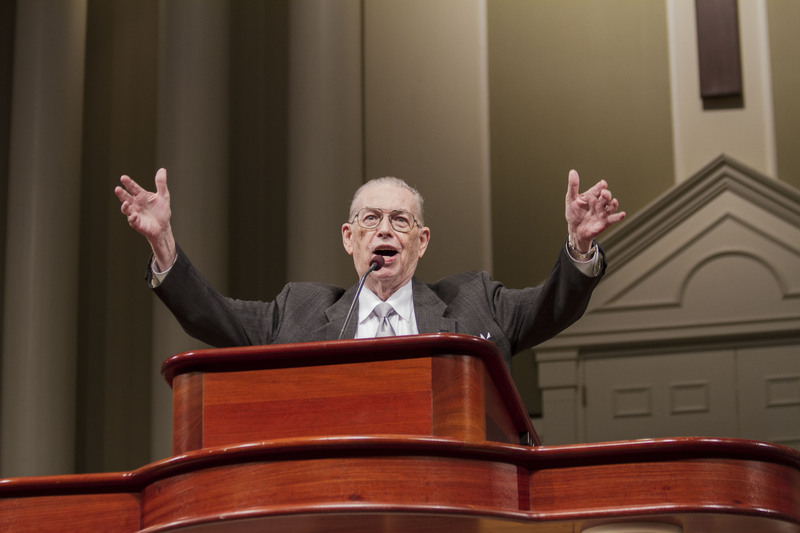 Dr. Evans has had the unique opportunity of being influenced by three of the great Christian leaders of recent times: by Dr. Bob Jones, Sr., for seven years, by Dr. Lee Roberson for eleven years, and by Dr. Jack Hyles for twenty-eight years.